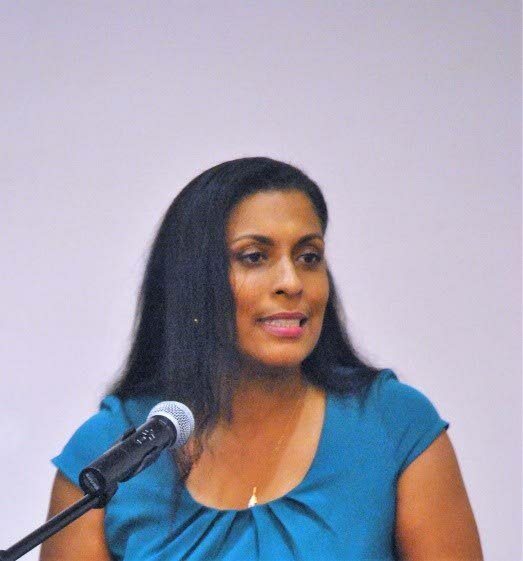 PRESIDENT of the TT Chess Association (TTCA) Sonja Johnson has been appointed secretary of the Planning and Development Commission of the World Chess Federation, FIDE. This newly formed commission, an initiative of the recently elected FIDE president Arkady Dvorkovich, will focus on the sustainable development of FIDE and its member federations. There are 189 member federations affiliated to the World Chess Federation. On October 3 last year, FIDE’s General Assembly elected Dvorkovich, a former Deputy Prime Minister of Russia and chairman of the organising committee of the highly successful 2018 FIFA World Cup in that country. Dvorkovich ran on a platform of increased transparency, accountability and professionalism in the conduct of FIDE affairs. It is in this context that the Planning and Development Commission was formed to strengthen the operations of FIDE by focusing on governance structures, activity and the introduction of key performance indicators at the federation, continental and world body level. A key mandate is to build a stronger FIDE by building capacity at the federation and continental levels. The appointment is the first for a TT national, and Johnson is also one of less than a handful of females who will function in such a post. Johnson said her appointment comes after she and other members of the TTCA Executive have strived to develop and improve the profile of the sport within TT, guided by the TTCA’s 2016-2020 strategic plan. The TTCA was recognised as the top sporting organisation (small) for 2015 and 2016 by the First Citizens Sports Foundation. The TTCA also produced its inaugural publication Historic Moves- Celebrating 80 Years of Chess in Trinidad and Tobago, in an effort to build on its initial successes to further develop the sport. Reply to "Johnson gets World Chess Federation post"